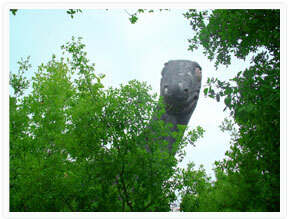 Welcome to the Dino City website! You are about to embark on a magical journey through time. Dino City is a 10000m2 prehistoric park that takes you on a journey through time.Starting with the big bang in the museum of life,you will keep going forward in time as you walkthrough a forest with real size dinosaurs to then reach the time of the primitive man. As you walk out of the prehistoriccaves you will learn abouthow the modern man evolved to our current state. and how life evolved on our planet.